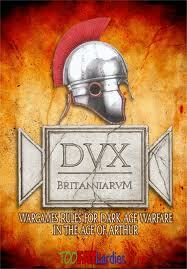 DVX BRITANNIARVM | Cry Havoc and Let Slip the Dogs of War! The game is is skirmish in scale and the campaign begins with a modest number of figures. the number of figures and types necessary will increase of the campaign. The mechanic follow the usual Lardy standard with activations of various leaders and units instigated by a card system. There are also fate card which help change up the actions and some addition variation to the games. An interesting mechanic is Force Morale, which governs the overall morale of either side (unit morale is handled through shock points). Force morale is effected at game start by the results of any previous games and certain activities that either side may enter into prior to battle, such as providing their men with mead or ale. As the game is played, certain bad events (losing a lord or a unit for instance) causes the Force Morale to lower until the side can no longer continue. I mentioned earlier that the game is a campaign system. This is very important. Rather than being simply an additional add on the campaign system is certainly a major portion of the game. Oh the game can be played as a one off, but much of its flavor and strengths would be lost if doing so. That being said, the purpose of this new page will be to record the saga of my club’s new campaign set in the Kingdom of Guenet beginning in April of 550. Though first we will play a sample game to practice with the rules in just a few weeks. Presently we are preparing for Guns of August. The Kingdom of Guenet had previously been a loose confederation of British cities ruled by city Magisters. 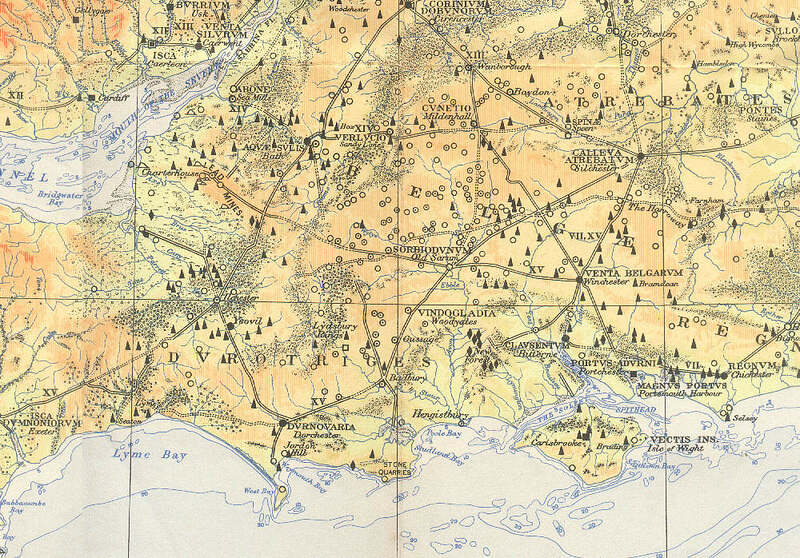 Roman civilization is very strong in this region along the Sabrina (Severn). The area was preserved from the Saxons in the first invasion at the battle of Mons Badonicus in 496. Now 54 years later they are trying again. The king, Aurelius Caninus is old and dying.